Convenience is at your fingertips at Hyatt Regency Chicago. 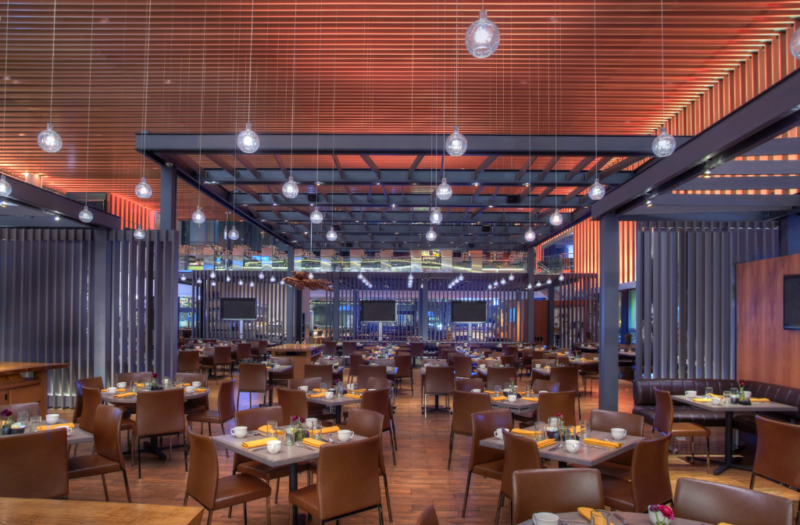 Our energetic hotel features five onsite dining options, a 24-hour fitness center, enhanced networking spaces and a full service business center. 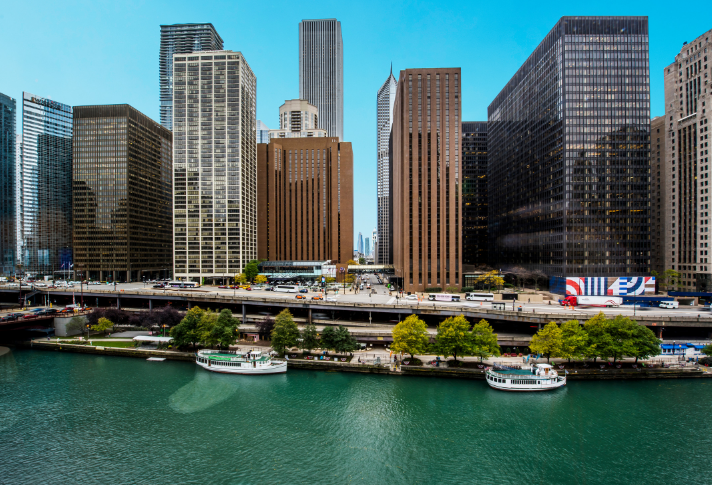 Centrally located in the heart of downtown, Hyatt Regency Chicago is the gateway to the city’s top attractions! 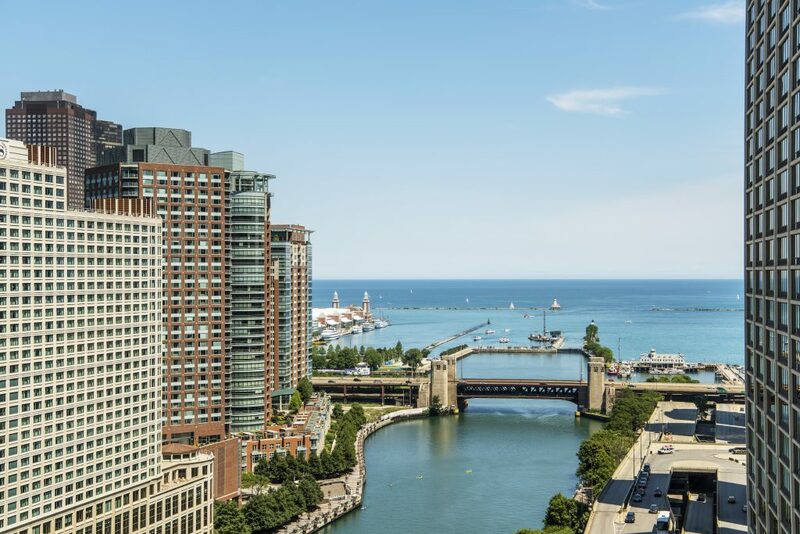 Situated along the Chicago River, step out our front doors to enjoy quick access to Navy Pier, Millennium Park, Mag Mile shopping and dining along the Chicago Riverwalk. 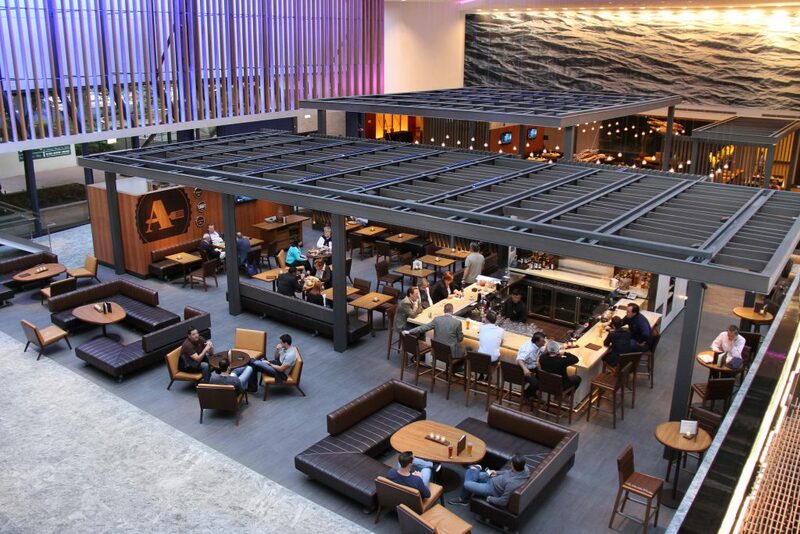 Hyatt Regency Chicago is connected to the Chicago Pedway System, offering indoor access to many conveniences, including dining, shopping and more. Open 24-hours a day, Market Chicago is the perfect place to start your morning or enjoy a late-night snack. 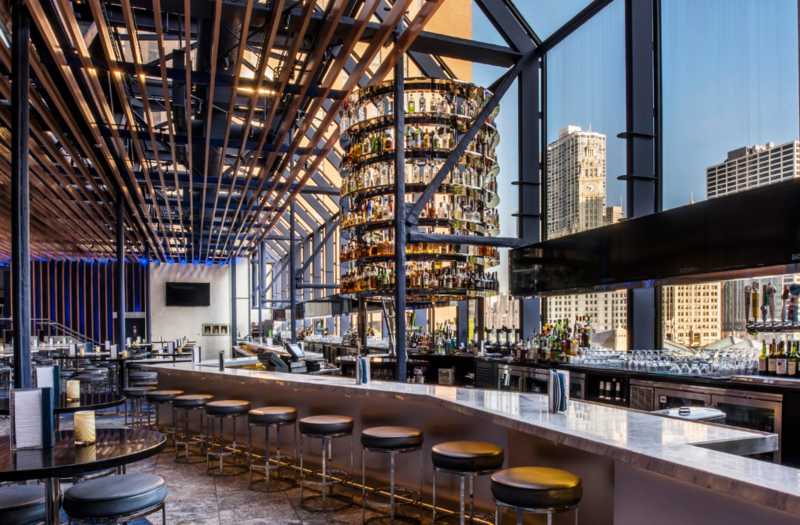 Our upscale mezzanine-level lounge, BIG Bar features stunning views of downtown Chicago and the continent’s longest free-standing bar. Enjoy breakfast, lunch or dinner in our open-air restaurant, featuring farm-to-table dishes, handcrafted cocktails and local craft beer. Comfort food, cocktails and fireside dining are the name of the game in The Living Room. Our nontraditional steakhouse offers internationally inspired dishes prepared with sustainably-sourced beef, seafood, and produce. 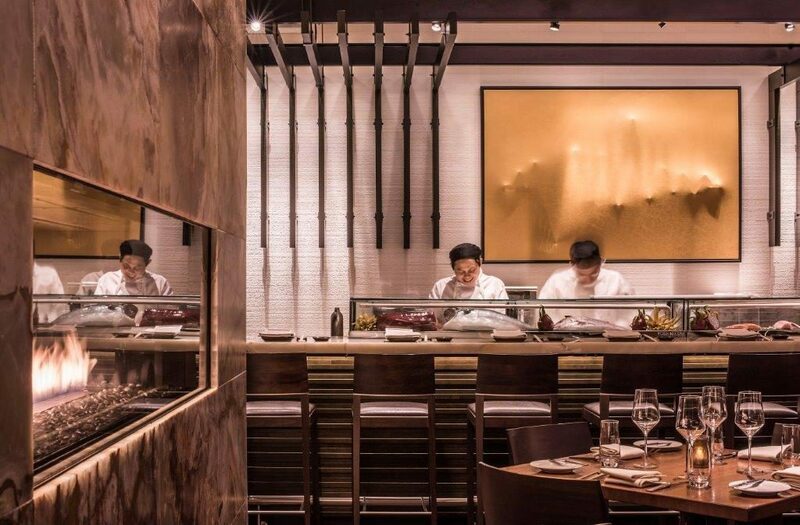 Enjoy the urban atmosphere with an open kitchen, energetic sushi bar, and award-winning wine program. 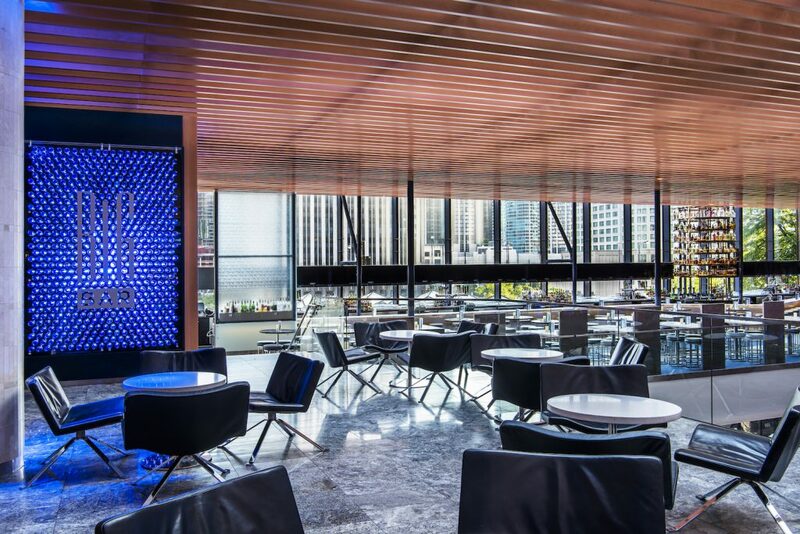 Hyatt Regency Chicago is loaded with networking spaces in all shapes and sizes. Looking for a quiet nook to plug in, catch up on email and unwind from a long day? We have that. Looking for a place to meet up with colleagues and talk through strategy? We have that, too. Looking for a space to meet up with a larger group over drinks? Yes, we have you covered. 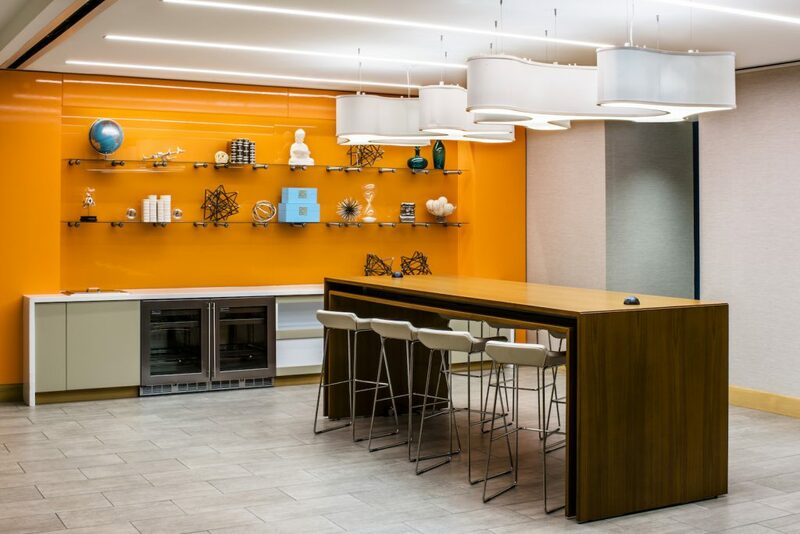 Complimentary wireless internet, power outlets and comfortable seating inspire productivity in each of these settings. Our newly renovated, complimentary 24-hour fitness center offers a retreat for those looking to continue their fitness routine while on the road. 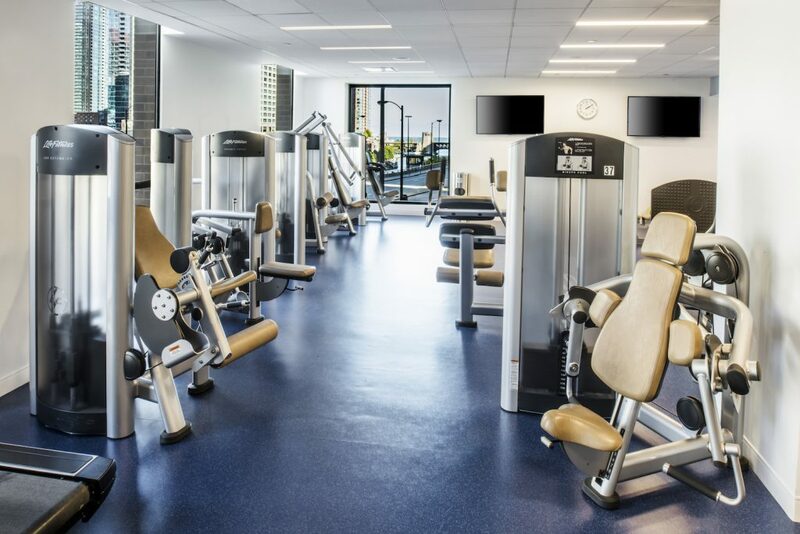 With an array of Life Fitness machines, free weights, and stunning views of Lake Michigan, we’re sure you will be inspired from the moment you walk in. For easy access to McCormick Place via the Metra, the Pedway offers a shortcut to the Millennium Metra Station. Take the Metra Electric Line three stops and you will have arrived at McCormick Place in just about 7 minutes!